Country Singer Slim Whitman, Known For His Yodel, Dies : The Two-Way Whitman was at one point known as "America's Favorite Folksinger," but he was far more popular overseas. His music saved the Earth from aliens in the comedy Mars Attacks! 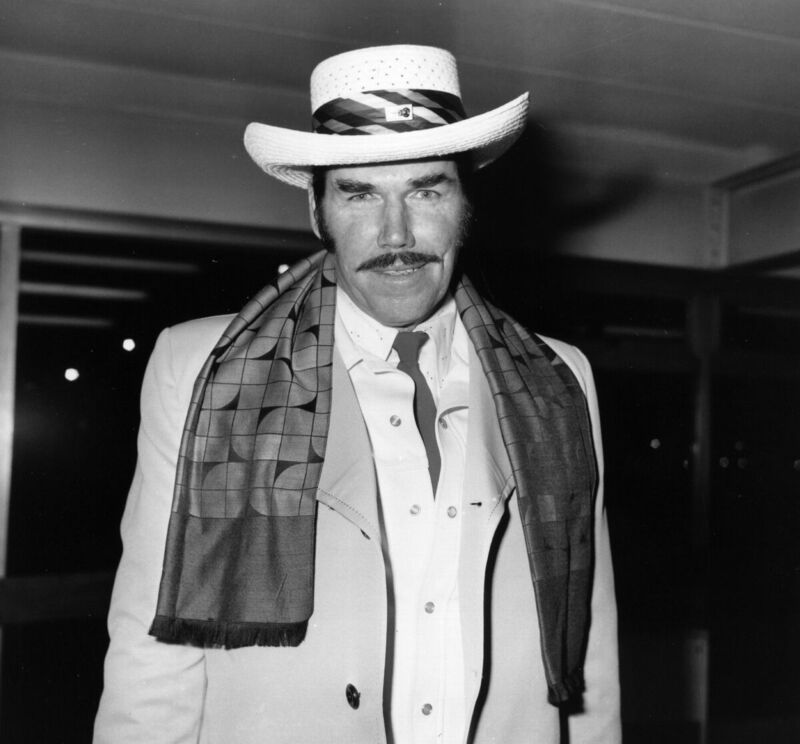 Slim Whitman arriving at Heathrow Airport in 1976. Country singer Slim Whitman, whose yodel helped sell millions of albums in the United States, died overnight on Wednesday in a Florida hospital, his family tells the BBC. While Whitman was at some point known as "America's Favorite Folksinger," he was actually far more popular overseas. As the BBC explains, in 1955 his hit Rose Marie became the longest-reigning No. 1 single until it was knocked off the perch by a Bryan Adams hit in 1991. "Whitman's tenor falsetto and ebony mustache and sideburns became global trademarks — and an inspiration for countless jokes — thanks to the TV commercials that pitched his records. "But he was a serious musical influence on early rock, and in the British Isles, he was known as a pioneer of country music for popularizing the style there. Whitman also encouraged a teen Elvis Presley when he was the headliner on the bill and the young singer was making his professional debut. "Whitman recorded more than 65 albums and sold millions of records, including 4 million of 'All My Best' that was marketed on TV."